Sunday, April 14th, is going to be a busy day in South Bend, but all streets will be open! Come get warm and enjoy hot food at VegFest! 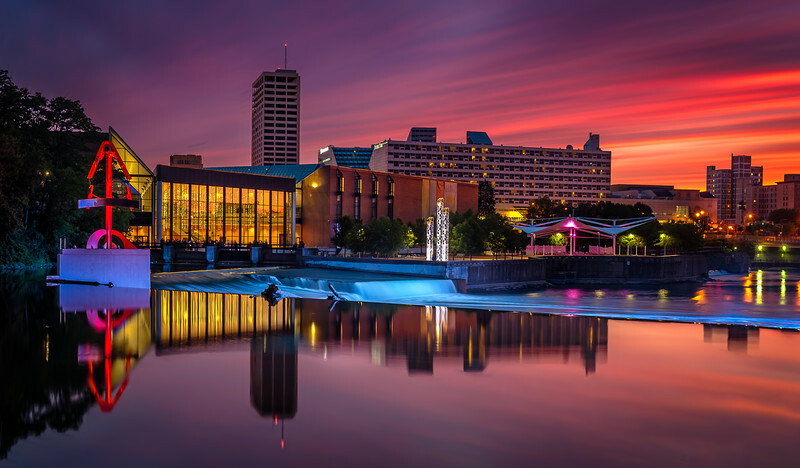 The Century Center is an award-winning convention center that features over 100,000 square feet of adaptive meeting spaces and is located on an 11-acre riverfront park that anchors the Downtown South Bend Convention District. Click here for directions to the Century Center. Click here for a floor plan--we will be on the main level. The venue is wheelchair accessible, a lactation room will be available, and you can enjoy free Wi-Fi! Park at the Century Center for $5- in its 380-space, flat-surface lot. On Sundays, there are also more than 2,000 free spaces within a two block radius of the Century Center. Click here for a guide to parking options in downtown South Bend. At Century Center, you will find signage and banners to guide you, as well as one large TV screen with the schedule of events and another large TV screen with a map of vendors and events. Volunteers will also be at the entrance of the building to help you. Looking for a place to stay during your visit to Michiana? Click here for a list of local hotels.